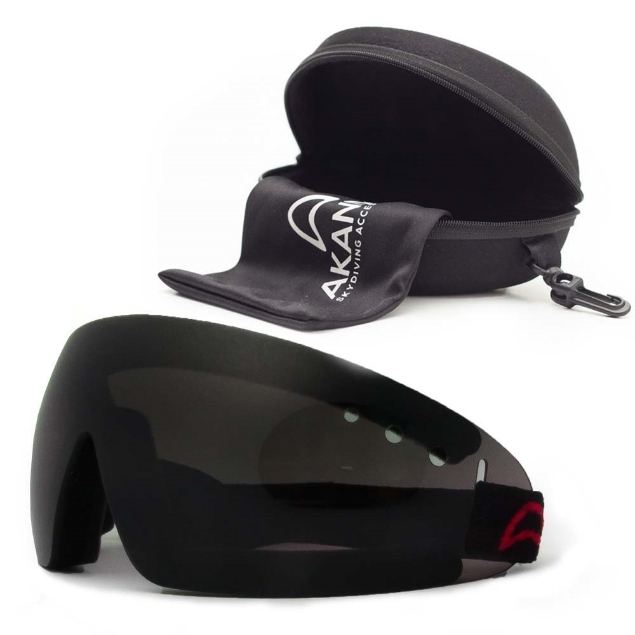 Akando Vision Goggle. Skydiving accessories -AKANDO - gloves, goggles, gearbags and accessories. 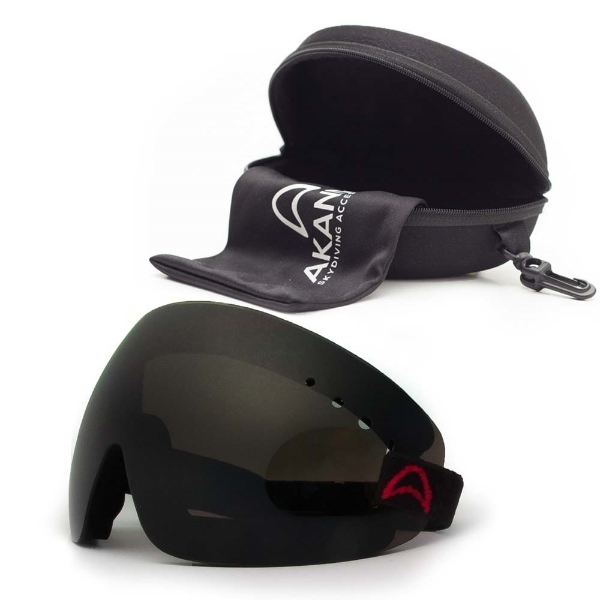 Akando Vision Goggles are our medium sized goggles that offer ultimate comfort, large peripheral vision and are compatible with skydiving and other helmets. Anti scratch, anti fog polycarbonate lens with strategically placed holes provide distortion free vision in extreme conditions. Besides being stylish in appearance, they provide UV protection and the best looks on the dropzone and in the air. Great goggles, fits perfectly and it has really large peripheral vision. Delivery was just 3 days to Slovakia. I use it for paragliding. i bought these googles last year, i jumped 2 seasons with them and i am completely satisfied with them. I love its increased field of view and it looks really cool. mine doesnt have a scratch after 2 seasons so it did worth the purchase. it will get foggy if you put them on too soon in the summer, but no problem in the air.